Available in three sizes, the Aqua Sturdy range of Polyethylene Workboats are perfect for personal, club, or commercial use. Their rigid design and quality construction offer fantastic stability providing year upon year of trouble free use. 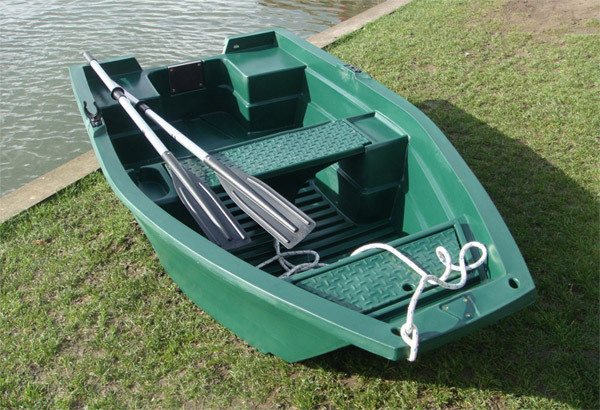 All Aqua Sturdy boats are supplied with Oars, Rowlocks & built in Roller wheels, and boats can be tailored to suit individual client requirements with optional extras such as; Swivel Seats, Rod Holders, Bow Anchor Pulley & Jamb Cleat, Mooring Lines, and can also be supplied with 12v Outboard Petrol Motors. The Aqua Sturdy range of workboats are made in tough durable polyethylene, so they’ll stand up to the rigours of day to day commercial use, and yet still offer a range of quality features which make them practical and easy to use, whether using on your own or working in a team. Built in UV Stabilised Polyethylene –Tough and durable. No need for self assembly. USE IT AND FORGET IT – ZERO MAINTENANCE! Aqua Sturdy 250 Brochure (PDF). Aqua Sturdy Range Brochure (PDF). Never use a boat without a suitable life jacket.